Ahead of its time, American Airlines was leading the way with this Luggage sticker. A nice size 3 1/2 x 5 1/4 inches and comes in a mylar sleeve for protection. Now a historical flop but still it is a piece of history and you can own it. It is in mint condition and ready for display or to be put in a scrapbook. 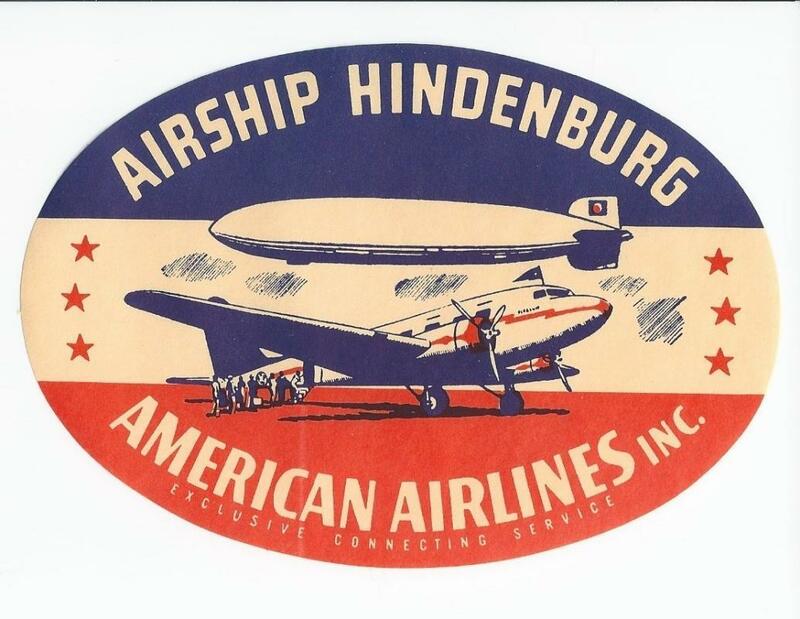 Items Similar To "Advertising Sticker for the Airship Hindenburg"